The tech industry has radically reshaped the city of San Francisco, from pouring investments into local public schools to gentrification and shared scooters littering street corners. Now tech has made a major change to the city's skyline. 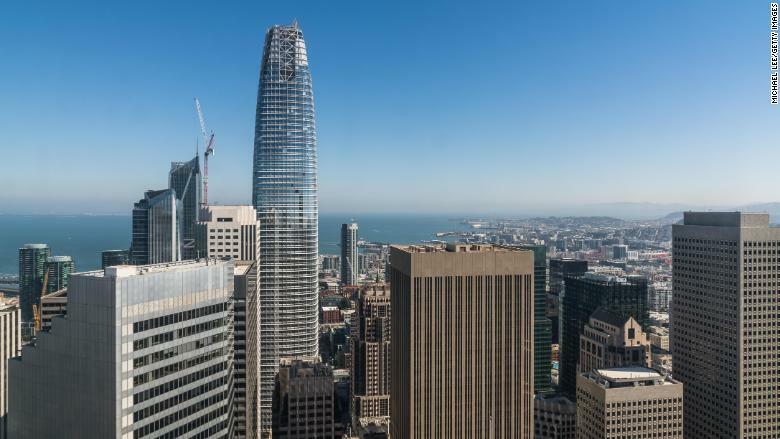 The Salesforce Tower, which had its grand opening ceremony on Tuesday, is the tallest building in San Francisco and west of the Mississippi. Standing at 1,070 feet high with 61 floors, it took more than five years to build. The Transamerica Pyramid was previously the city's tallest building. The $1.1 billion skyscraper is located in the startup-filled Soma district downtown. The area it occupies is in the revitalized Transbay section, which is centered around the new Transbay Transit Center opening later this year. It includes the 5.4-acre Salesforce Park, a raised green space that will be open to the public when it's completed in August. A small Salesforce gondola will ferry people to the park. Salesforce (CRM) is the anchor tenant of the building with a 15-year lease to occupy 36 floors, including the top floor. The work spaces have an "Ohana" floor plan, which features locked cubbies where workers can keep their belongings instead of fixed desks. They can wander around and work from sofas, communal tables or desks. 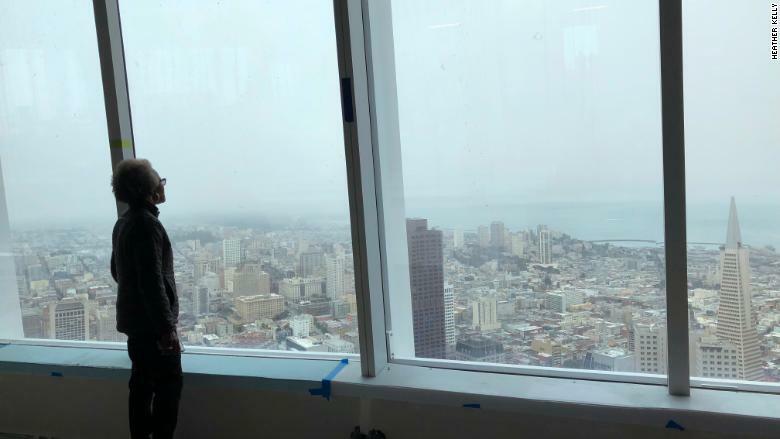 The top floor, which is still under construction, will feature a 360-degree view of the city when it's not enveloped in fog. The building has stirred up controversy for drastically altering the skyline. It is visible from all over the city and topped with animated LED lights to make sure you don't miss it. Salesforce already has 800 employees working in the building and plans to move in a total of 5,000. The largest tech company in the city will still occupy space in other buildings, including the adjacent Salesforce East and Salesforce West. 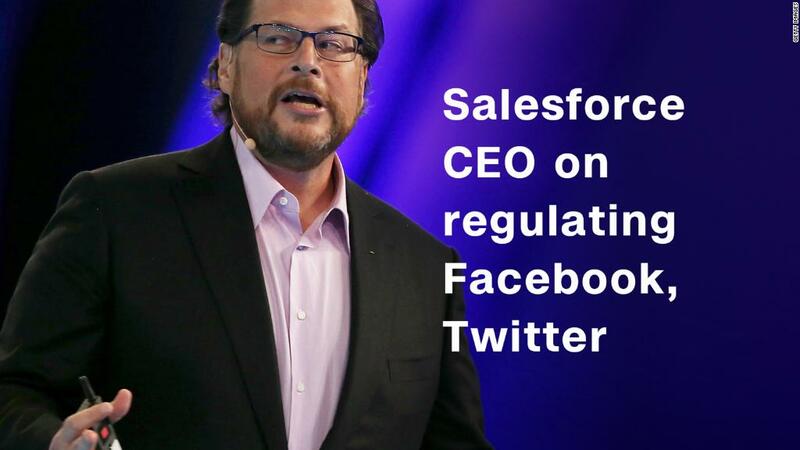 Salesforce employs 30,000 people worldwide and 7,500 in San Francisco. Former San Francisco mayor Willie Brown, who hosted the event, called the opening a more than "40-year odyssey" to overhaul the area and transportation hub. Mayor Mark Farrell issued a proclamation declaring May 22 "Salesforce Tower Day." An interfaith group of local religious leaders led prayers that included, "Bless this magnificent edifice, the Salesforce Tower." Salesforce CEO Marc Benioff used the launch event to discuss one of the biggest issues facing San Francisco: homelessness. 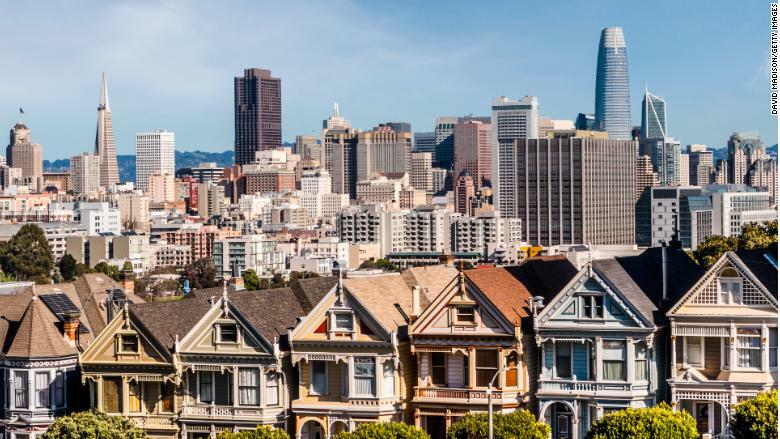 "We see extraordinary wealth, a community with over 70 billionaire but also grinding poverty in the shadow of this very building," said Benioff. View from the top of the Salesforce Tower. Benioff and his company are donating $3 million to the Heading Home Initiative, which helps homeless families find long-term housing. He also announced plans to raise $200 million from local business, including tech companies, to get every homeless person in San Francisco off the streets. "I know that it's temping to say the challenges that I described today are all because of the tech community. The truth is ... many of these issues that we have in our city have been chronic issues that have been here for decades," said Benioff. He asked people to view tech companies as part of a solution to the issues that impact San Francisco, instead of part of the problem. "Just now, as I'm challenging tech companies to step up, I'm also challenging others not to scapegoat the tech community," said Benioff.